This loss is attributed to church members aging and “the increasing secularization of society coupled with new spiritual practices.” The church simply isn’t impacting the culture like it used to and younger generations increasingly want nothing to do with it. Actually, this is happening through the whole Western world. Many mainline Protestant denominations believe this is because the church needs to be more inclusive. So they disregard biblical truth and become “inclusive” spaces for those in the LGBT community. This means they no longer teach the truth of God’s Word but ignore it in favor of supporting people in a sinful lifestyle. We see this same loose handling of God’s Word in many churches when it comes to Genesis. But this watering down of God’s Word isn’t helping churches grow! 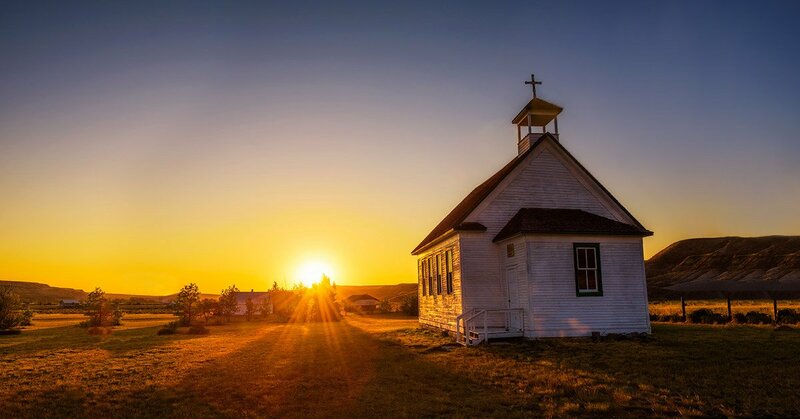 The largest denomination in Canada, the United Church of Canada, has been inclusive of LGBT people and has even supported abortion for decades (they also have at least one atheist pastor) but their congregations are still shrinking. The answer to growing secularization of the culture and declining church attendance isn’t the secularization of the church. Our mission is to go and make disciples (Matthew 28:19)—even when the message of the gospel and biblical truth isn’t popular and flies in the face of what our culture holds dear. We are ambassadors for Christ (2 Corinthians 5:20), and we must remain faithful to this task by holding firmly to the truth he has given us in his Word, starting in Genesis. This begins with recognizing biblical authority. We, as fallible, sinful human beings, are not the authority. God, our Creator, is the authority and he has given us his “God-breathed” Word (2 Timothy 3:16), which we are called to believe and obey. If we want to see churches filled with passionate believers of all ages, we need to stand boldly on biblical truth, contend for the faith, equip people with answers to questions that can cause doubt in God’s Word, and never fail to present the gospel to everyone who will listen. South Africa rules Dutch Reformed Church’s ban on gay “marriage” is unconstitutional. Right to life for kittens, but not human babies? What makes evolution go backwards? Watch the entire episode of Answers News for March 25, 2019.